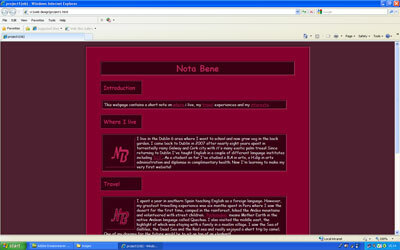 Links to the student's Projects completed during the course. Click on pictures to view the webpage/website. Girl at Africa day with balloon on head, Molly the wonder cat, Billy and a couple of ginger cats, one on street in bray and one of many ginger neighbours! 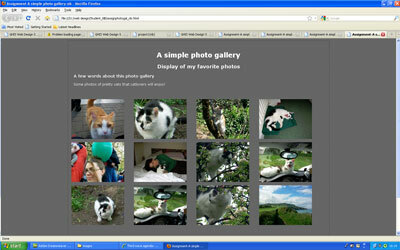 The purpose of this exercise is to display photographs in a nice photo gallery.